A Los Angeles Court lifted a ban on the Center for Medical Progress undercover videos of Planned Parenthood baby harvesting operations. The group immediately released a video that shows the StemExpress CEO joking about receiving entire dead babies from Planned Parenthood. CEO Cate Dyer jokes about shipping entire dead babies to labs from Planned Parenthood. Los Angeles Superior Court Judge Joanne O’Donnell ruled on Friday afternoon the Center for Medical Progress has First Amendment rights to release videos it covertly took of StemExpress executives talking about buying aborted baby tissue from Planed Parenthood. Almost immediately afterwards, CMP released a new video that among other thing showed the StemExpress CEO Joking about receiving entire dead babies from Planned Parenthood (over lunch). This latest video is only two minutes long and is more of a trailer of things to come. Most of its content was made up of bits and pieces of previous videos. 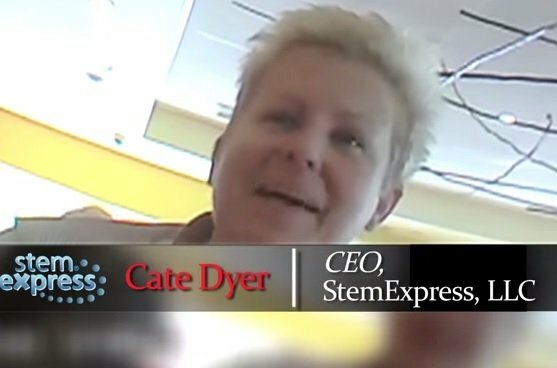 The one new section featured Cate Dyer, the CEO of StemExpress in a lunch meeting with undercover operatives posing as representatives of a biotech firm. Dyer is seen laughing about how StemExpress purchases fully intact aborted babies from Planned Parenthood. As she paid the check, Dyer is laughing about how shippers of the aborted babies should give a warning to lab workers to expect such a whole (intact) baby. “Tell the lab its coming,” she laughs about the intact unborn babies. “They don’t want to open the box and go ‘Oh my God!’” Dyer adds.